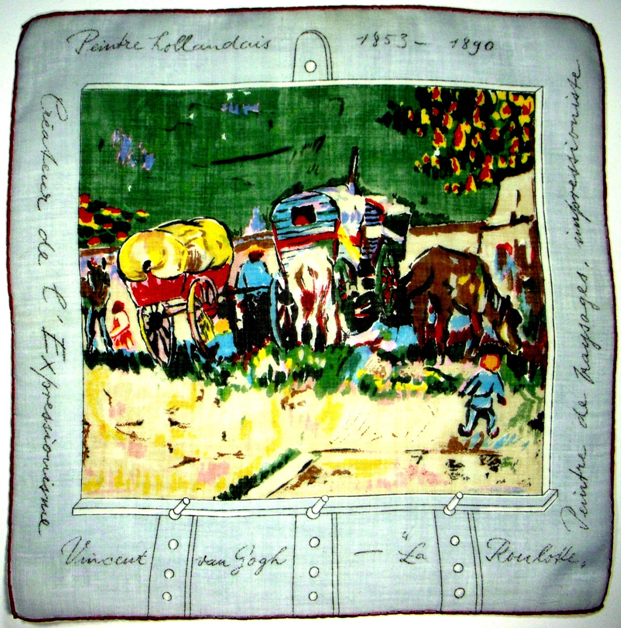 When I found this handkerchief with its soft gray border showcasing Van Gogh’s painting of a gypsy caravan, I knew exactly what I had to do – gift it to my artist friend Elizabeth Barlow. Van Gogh invites the viewer to join this vibrant and inviting scene of sun washed travelers with their gaily painted carts. 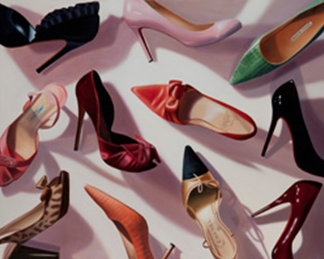 So, too, Elizabeth’s paintings draw you in; they tempt you to pause and enjoy. Her art tells a story, beckoning you to discover the unspoken tale contained in the image. Let’s take a look. 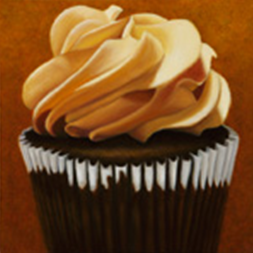 This painting is titled Happy Birthday, and you know from the sheen of the satin the present within will be magical. The size and shape of the box are unimportant. She focused on the bow, the combination to the safe that’s keeping everything locked up tight, and yes, we want to untie it right now! Elizabeth is an artist of both extraordinary talent and consummate skill, and she’s a master at conveying sensuality. I’m not surprised her medium is oil, as it captures all the depth and richness of the Old Masters. 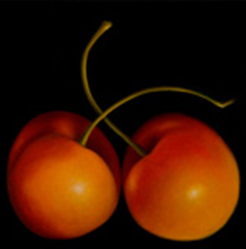 It’s a struggle to stop yourself from swirling your tongue in this icing, or devouring these succulent cherries. Perfection! Her Portrait of A Social Columnist was selected as one of 13 finalists out of 2500 entries in Southwest Art Magazine’s Artistic Excellence Competition, and was featured, along with an interview of Elizabeth in the December 2011 issue. While attending one of her gallery openings last year, I spied a small blue handkerchief in her hand. When I asked, she explained it had belonged to her mother, and she always carried one in her purse. I knew it! Someone who paints sensual images in rich oils could never be a klennex girl. It’s linen and lace all the way. I asked if she would share some of her treasures for this blog, and she graciously agreed. A satin and lace handkerchief pouch, and hand painted moiré silk travel pouch. 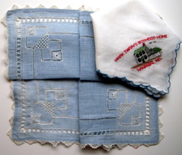 Drawn work on blue linen, and souvenir hankie from Mark Twain’s boyhood home. Silk crepe fashion handkerchiefs. The gold butterfly is hand painted. 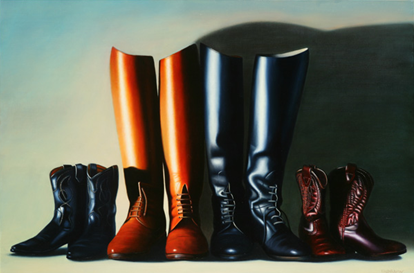 This painting tells a family story; the parents ride English, while the children ride Western, as their boots reflect. A photo cannot remotely begin to convey the luminosity of the actual work. You can almost smell the leather and saddle soap rising from the surface of the canvas. Seriously. 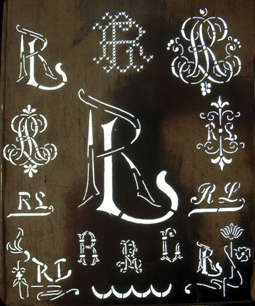 The minute I saw it, one name immediately zinged to mind – Ralph Lauren. “Oh Elizabeth” I said “wouldn’t it be wonderful if you could paint Ralph and Ricky’s cowboy boots? Perhaps even alongside a pair of their evening slippers?” We shared a smile at the thought. I asked if she knew him or anyone in his entourage. She did not, nor do I. Such a shame, as I’m convinced she’s the perfect artist to create his family portrait. 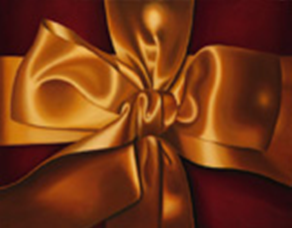 Both Elizabeth and Ralph devote their working hours to creating beautiful art for our visual and sensual enjoyment.